The developed/underdeveloped dichotomy is the starting point of mainstream theories of development. Based on a theoretical framework inherited from modernisation theories, they represent development as the process through which productive structures in the Global South are transformed following the footsteps of the Global North. Dependency theories productively challenged this linear conception of development, but failed to provide a consistent alternative because of their incapacity to move beyond the developed/underdeveloped dichotomy. 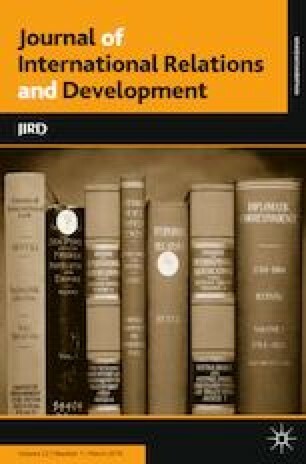 In this article, I claim that Trotsky’s concept of uneven and combined development finally indicates a way to think of development beyond the developed/underdeveloped dichotomy. Through analogies with the work of the Dutch artist M. C. Escher, I contrast the concept of uneven and combined development with competing views of development to show both that it makes better sense of particular development trajectories and that it offers a better theoretical base for political action. By stressing the necessarily perspectived character of development, the concept of uneven and combined development makes it possible to ask a crucial question often overlooked: development for whom? I would like to thank the participants of the Cornell-Sussex Development Workshop for comments on an early version of this paper. I offer my special thanks to Dr Louise Wise and Professors Justin Rosenberg, Ben Selwyn and Fouad Makki. Anievas, Alexander. 2011. Capital, States, and Conflict : International Political Economy and Crisis, 1914‒1945, PhD dissertation, University of Cambridge. http://ethos.bl.uk/OrderDetails.do?did=1&uin=uk.bl.ethos.609603. Accessed 26 Feb 2019. Boulos, Guilherme. 2018. Interviewed by Isto É Magazine., 19 June, 2018. https://www.youtube.com/watch?v=qzA5Tz6vHLs. Accessed 26 Feb 2019. Marx, Karl. 1859/2010. ‘Preface’, A Contribution to the Critique of Political Economy, in: Karl Marx, Frederick Engels Volume 29: 261–265. London: Lawrence & Wishart Electric Book. http://www.hekmatist.com/Marx%20Engles/Marx%20&%20Engels%20Collected%20Works%20Volume%2029_%20M%20-%20Karl%20Marx.pdf. Marx, Karl. 1867/2010. ‘Preface’, Kapital, in: Karl Marx, Frederick Engels Volume 35: 7–11. London: Lawrence & Wishart Electric Book. http://www.hekmatist.com/Marx%20Engles/Marx%20&%20Engels%20Collected%20Works%20Volume%2035_%20K%20-%20Karl%20Marx.pdf. Truman, Harry. 1949. Inaugural Address. http://www.presidency.ucsb.edu/ws/?pid=13282. Accessed 26 Feb 2019.